Adventure lasts between one hour and one and a half hours. 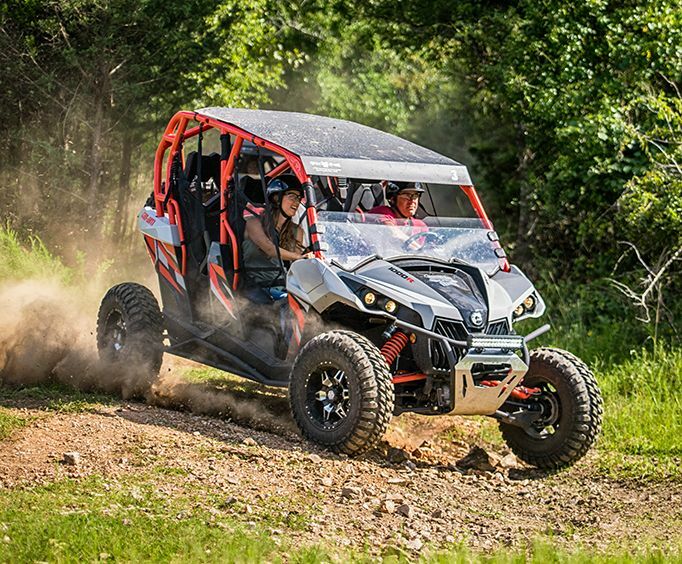 For an absolutely thrilling off-road adventure, head to the Shepherd of the Hills to take on Ozark Off-Road ATV Adventures. This spectacularly fun adventure will take those seeking thrills and a rush of adrenaline are in for a real treat when they partake in this exciting experience! Hop into one of the best and most technologically advanced ATVs in the world and set off on an off-road adventure of either 1 hour or 90 minutes and make your day a bit more extreme. With the choice of two different excursions, this adventure can be exactly what you make it. Imagine yourself flying through the woods with the wind blowing in your hair and the trees rustling around you, kicking up dirt and dust while you fly through the pathways in gorgeous forests. There's no better way to experience nature than getting gritty and dirty while on an off-road ATV adventure! Following a Shepherd of the Hills guide through their property, you will fly through the beautiful Ozark hills to have yourself an amazing excursion that is sure to leave a lasting impression. Before setting out on your trek into the gorgeous backwoods, you will be given instruction on how to operate the off-road vehicle on the pavement and provided with helmets to ensure the safety of every rider in the vehicle. This adventure has complete safety in mind, with the riders being required to follow all state laws in regard to safety. Riders must be over 4 years of age, while drivers must be over 21 and possess a valid license. This makes it even more fun, knowing that while you are having an extravagant time surrounded by trees and hills, you are also as safe as you can be. Make sure to arrive on time, because you do not want to miss out! Book this wonderful adventure for a thrilling time in Branson. Bring your whole family and make your vacation more memorable. Enjoy an entire hour of off-roading adventures when you attend this amazing ATV adventure. Filled with adrenaline and excitement, you can be sure that you will have a blast! 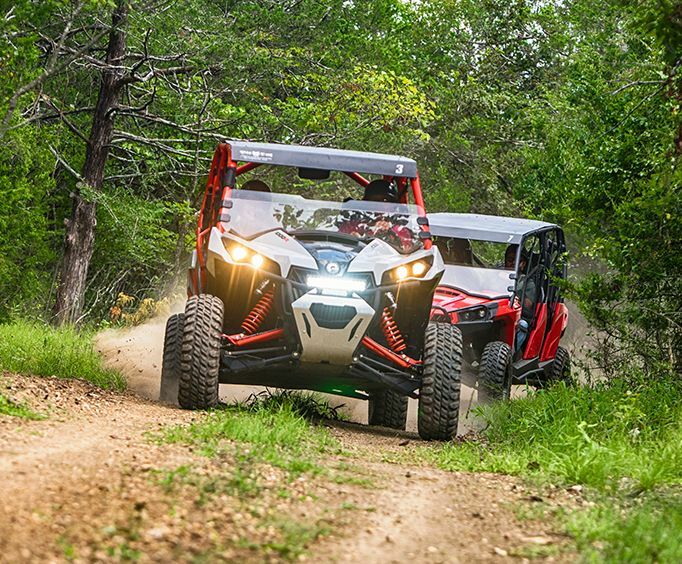 This 90-minute off-road adventure is the perfect addition to any vacation! Filled with thrills and fun, you can be sure that you will get the best of your trip when you attend this spectacular adventure! 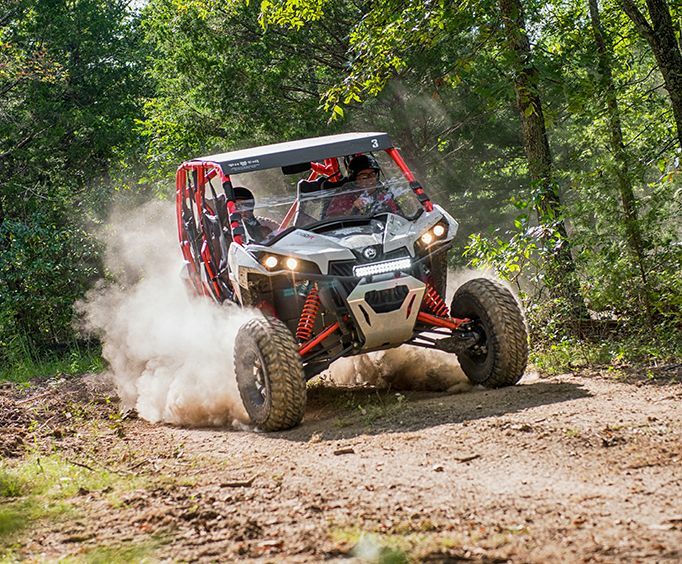 Approximately how long could a customer plan to spend at Ozark Off Road ATV Adventures? Guests should arrive 30 minutes before scheduled time to go over safety procedures. The ATV adventure lasts approximately 1 - 1.5 hours. Tour guide was amazing. We had a great time overall. The roads were bumpy and you get very muddy. My kiddo loved it. Only suggestion would be to have a sign. It was very hard to find. It was awesome. It was however, very cold! Everyone was friendly and our guide was great! Will be going back when its warmer!